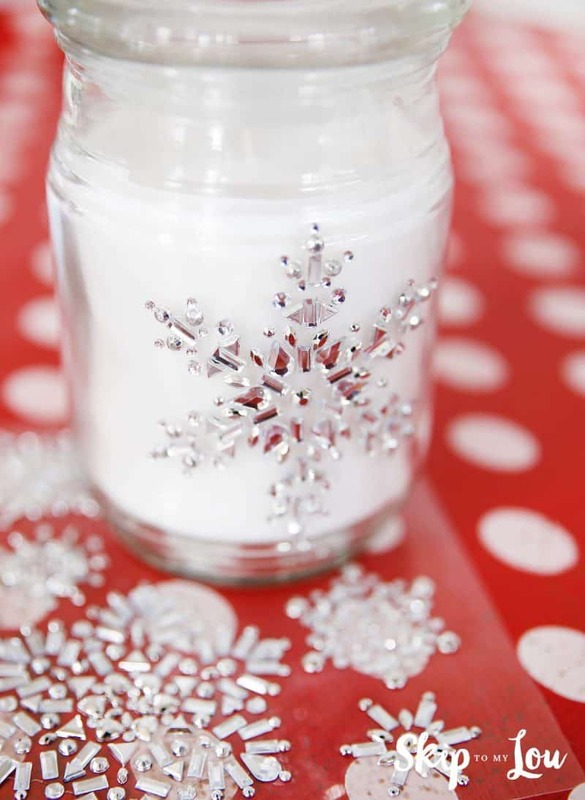 This Embellished Candle Gift Idea is an easy way to dress up a store bought candle and make it an extra special gift. I love easy gifts that can be put together that can also be useful. I have loads of handmade gift ideas you might like to browse if you are looking for just the perfect gift for someone special! 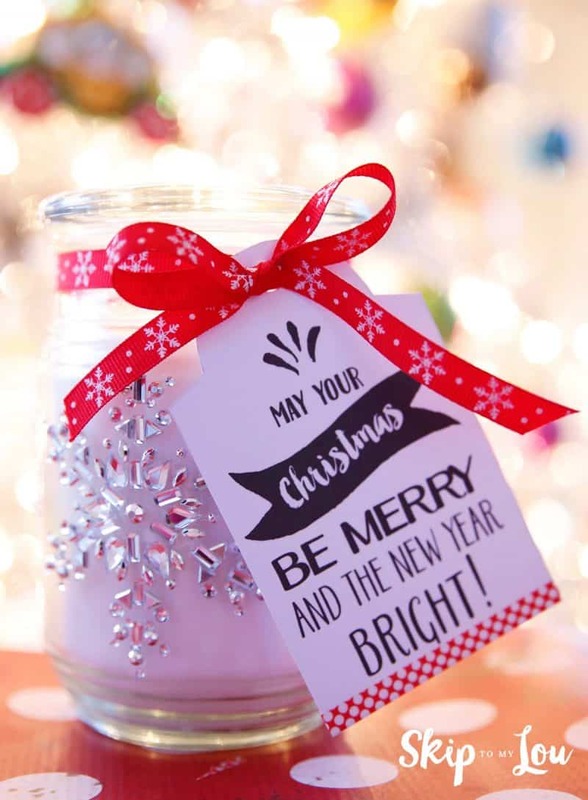 Grab a jar candle and sticker embellishments. I found rhinestone snowflakes, so pretty! Be sure to grab some ribbon and washi tape to embellish and tie on a tag. Remove the label from the candle with warm water. Completely dry the glass. If there is residue try rubbing alcohol or Goo Gone. Place the sticker embellishments around the jar. 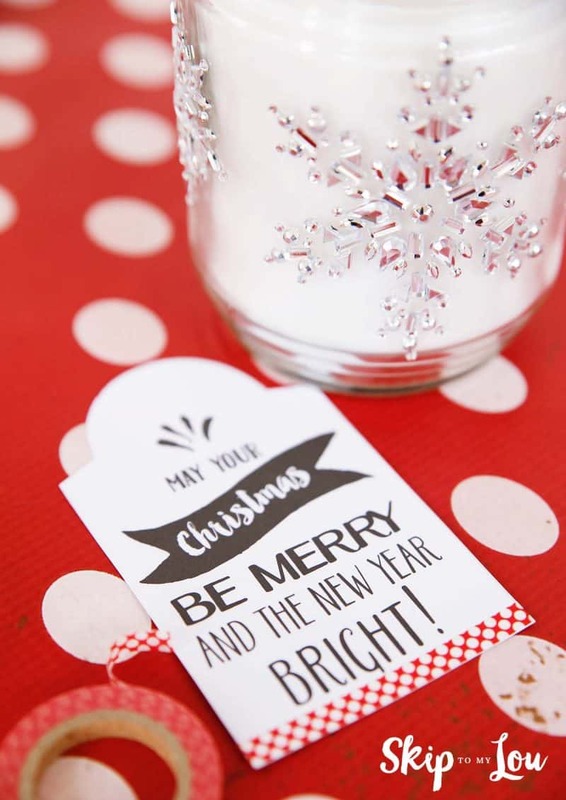 Add a little washi tape to a gift tag and tie it on the candle. You will find tons of fun paper goods to craft a gift tag at Michaels. Their pre-made tags are pretty great too! How easy was that! 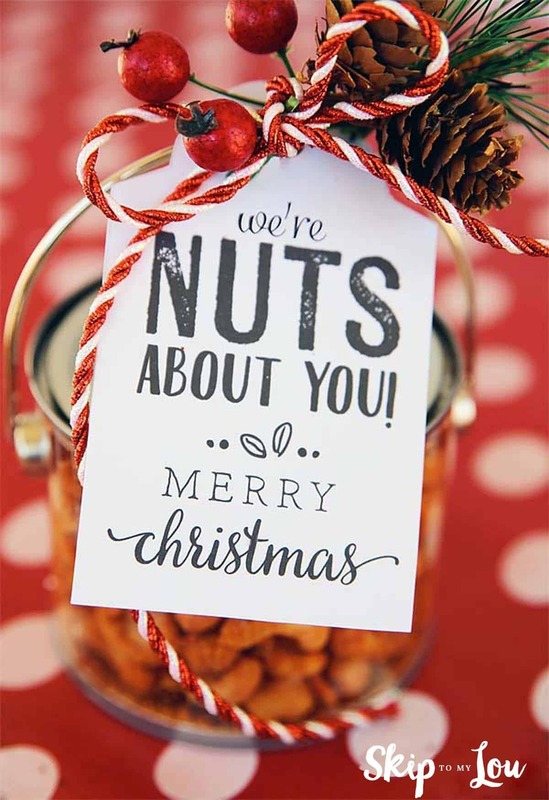 If you too love quick and easy gifts that are clever and useful. I have 30 printable holiday gift tags (including the gift tag above) to make gift giving simple. Just pair the cute saying with a small gift, wrap it up and you are done. It couldn’t be simpler. Looking for more holiday inspiration? 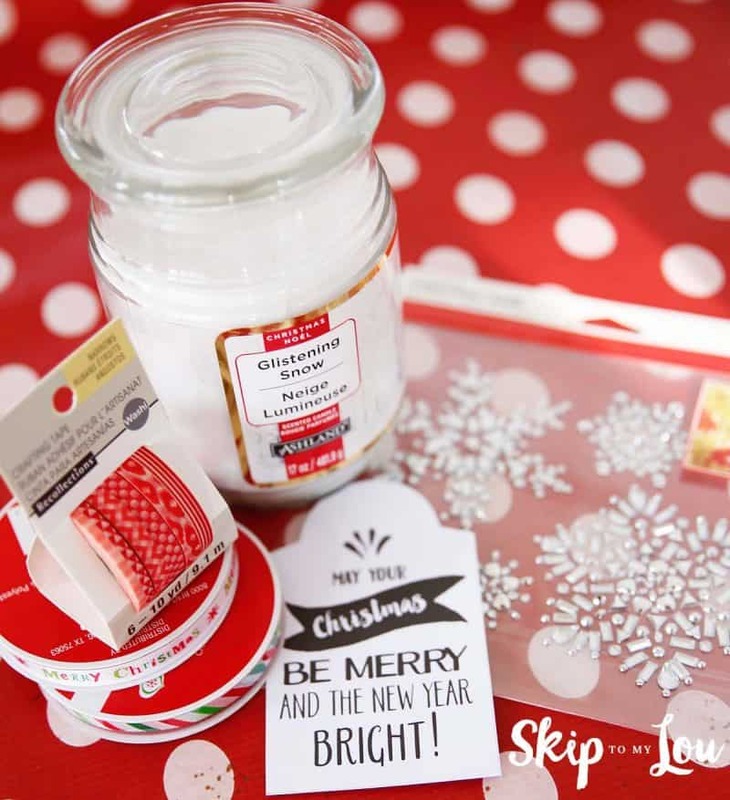 Make sure you visit Michaels’ blog, The Glue String, to see the rest of the Michaels Makers’ DIY holiday project ideas. My fellow Michael’s Makers have some ideas to make your holiday special!